•	Building and strengthening Human Capacity in Research Uptake and Utilisation for National and Regional Development. •	Scientific and Technological Research Innovations for National and Regional Development. •	Strengthening Cooperation and Networking among West African Researchers. •	Trans-boundary Research Funding and Innovation Incubation: Experiences and Lessons from and for West Africa. •	Science and Technology for regional Integration and Sustainable Development. •	Humanities Research, Innovation Incubation and Knowledge Delivery for Regional Integration and Sustainable Development. •	Collaborative Research in Practice: Experiences, Challenges and Opportunities. 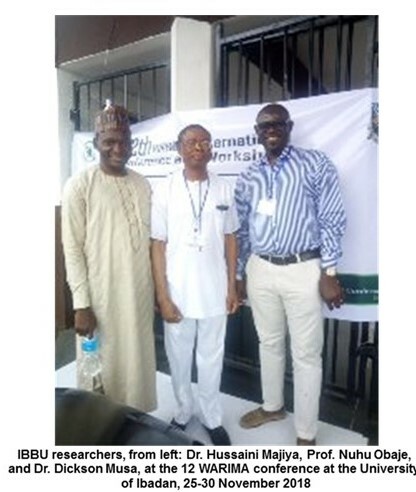 The objective of the international conference and workshops was to examine the strategies that could be utilized in strengthening research, innovation incubation and knowledge product delivery for national and regional development in West Africa. Although the focus of the conference/workshops is West Africa, the conference received contributions, lessons and experiences from many parts of the world that which enhanced the sub-region’s achievement of national and regional development through research, innovation incubation and knowledge product delivery. Founded in November 2006, the West African Research and Innovation Management Association (WARIMA) is a professional body for research management in the West African sub-region. It operates at institutional and international levels, as well as across the research-value chain, from research management to commercialization of research results.